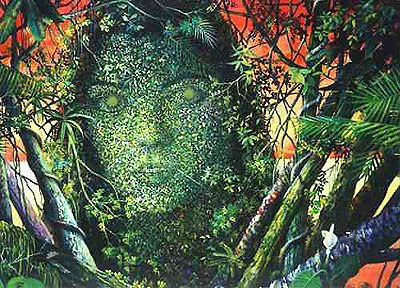 Specific Entity in Ayahuasca. Beautiful and caring. No majesty just love. As if live is hard and she will let you lay your head on her lap. "She showed me about creation and told me about many secrets of life. Things she told me she couldn't tell others, but I had to hear it to heal" "God/Universe loves your child more than you ever could", then she showed me that love.